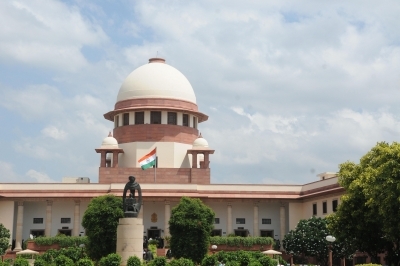 New Delhi April 14 (IANS) The Supreme Court on Friday said that a central government employee during service or after retirement can t be denied the reimbursement of bill merely on the ground that during a medical emergency he took treatment from a private hospital which is not in the list of the Central Government Health Scheme (CGHS) empanelled hospitals. "The right to medical claim cannot be denied merely because the name of the hospital is not included in the Government Order" said the bench of Justice R.K.Agrawal and Justice Ashok Bhushan in their judgement. Speaking for the bench Justice Agrawal held: "Can it be said that taking treatment in Speciality Hospital by itself would deprive a person to claim reimbursement solely on the ground that the said Hospital is not included in the Government Order." "The real test must be the factum of treatment. Before any medical claim is honoured the authorities are bound to ensure as to whether the claimant had actually taken treatment and the factum of treatment is supported by records duly certified by Doctors/Hospitals concerned." "Once it is established the claim cannot be denied on technical grounds" the court said. It is a settled legal position that the employee during his lifetime in service or after his retirement is "entitled to get the benefit of the medical facilities and no fetters can be placed on his rights" the court said. It further said that the speciality hospitals are established for treatment of specified ailments and services of doctors specialized in a discipline are availed by patients only to ensure proper required and safe treatment. The court also took note of "slow and tardy pace of disposal of MRC by the CGHS in case of pensioner beneficiaries and the unnecessary harassment meted out to pensioners who are senior citizens affecting them mentally physically and financially ...."
Directing that all such claims "shall be attended by a Secretary level High Powered Committee in the concerned Ministry which shall meet every month for quick disposal of such cases" the court said: "We are of the opinion that after submitting the relevant papers for claim by a pensioner the same shall be reimbursed within a period of one month." It also directed the setting up of "Committee for grievance redressal of the retired pensioners consisting of Special Directorate General Directorate General 2 (two) Additional Directors and a specialist in the field which shall ensure timely and hassle free disposal of the claims within a period of seven days." "We further direct the concerned Ministry to take steps to form the Committee as expeditiously as possible " the court said. The court order came on a petition by a retired central government official who had taken treatment from two private hospitals and sought the reimbursement of medical bills. The government had initially refused to reimburse the bill saying that implant of CRT-D device was not required. The court said: "It is acceptable to common sense that ultimate decision as to how a patient should be treated vests only with the doctor who is well versed and expert both on academic qualification and experience gained. Very little scope is left to the patient or his relative to decide as to the manner in which the ailment should be treated." Holding that the CGHS approach in the instant case was "very inhuman" the court said: "This is hardly a satisfactory state of affairs. The relevant authorities are required to be more responsive and cannot in a mechanical manner deprive an employee of his legitimate reimbursement." The Central Government Health Scheme (CGHS) the court said was propounded with a purpose of providing health facility scheme to the central government employees so that they are not left without medical care after retirement. AThe bills were initially declined on the grounds that both the hospitals were not on the panel of CGHS. But later a part of two bills were reimbursed. The court on Friday directed the reimbursement of the balance amount but making its clear that its order was limited to this case alone.